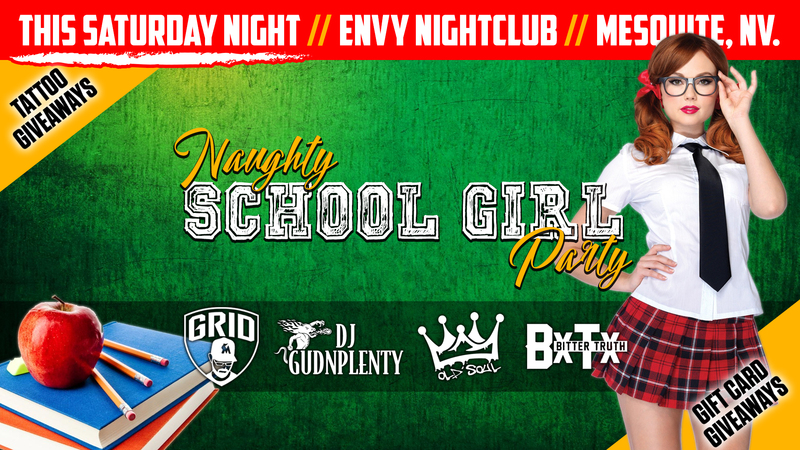 Ladies, get those outfits ready and join us for the HOTTEST party in September at ENVY Nightclub and Lounge’s Annual Naughty School Girl Party! Who wants a new tattoo? We’re giving away several tattoos courtesy of Paradise City Tattoo Studio / Tattoo Ryan Karagory! Call 1 (702) 346-9000 or message Envy Nightclub and Lounge RIGHT NOW to book your VIP table or lower table before they are SOLD OUT! SHARE THIS & INVITE YOUR FRIENDS!